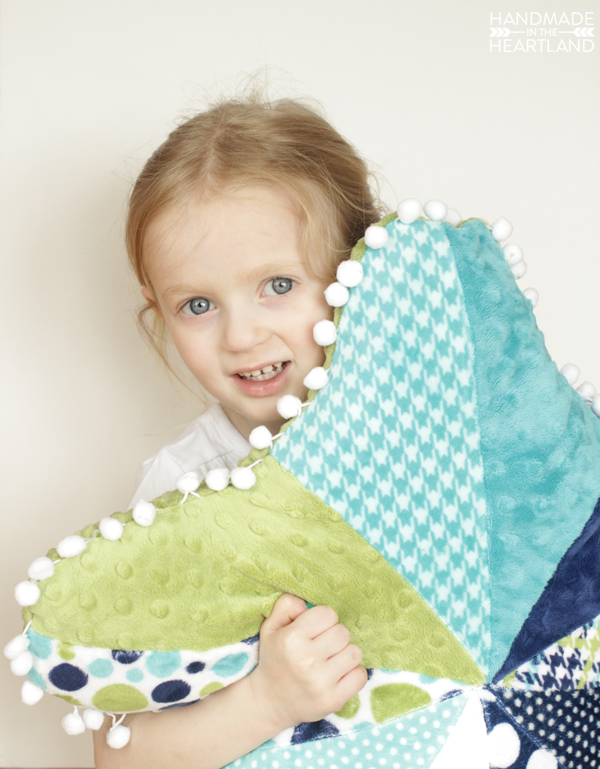 One of the reasons my kids are obsessed with this pillow is because it is made out of Shannon Fabrics super soft cuddle fabric. 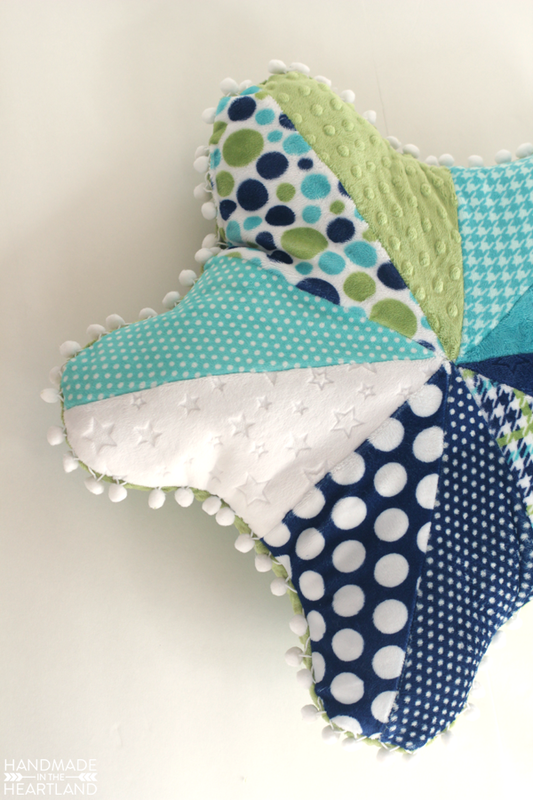 I used their seeing spots 10″ cuddle cake which comes with 10 prints- perfect for this pillow. 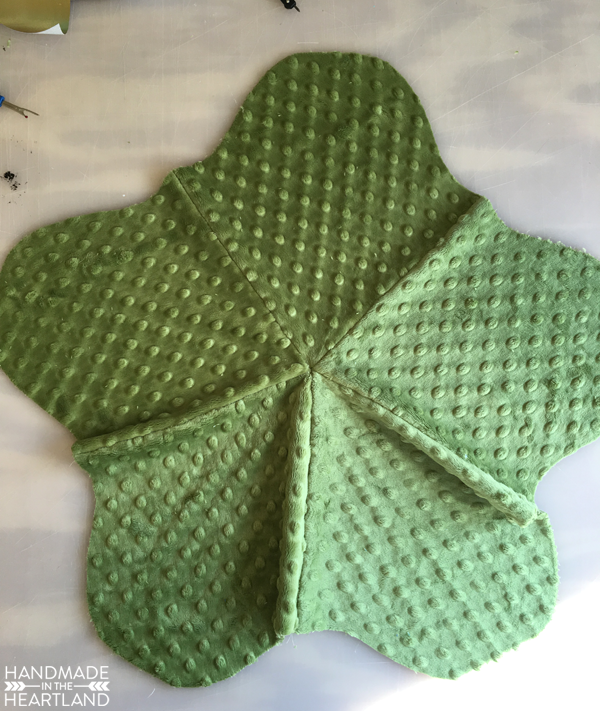 I also used a solid green for the back but wish I had just done the back identical to the front. With 1 cuddle cake you can make the entire thing, back and front. 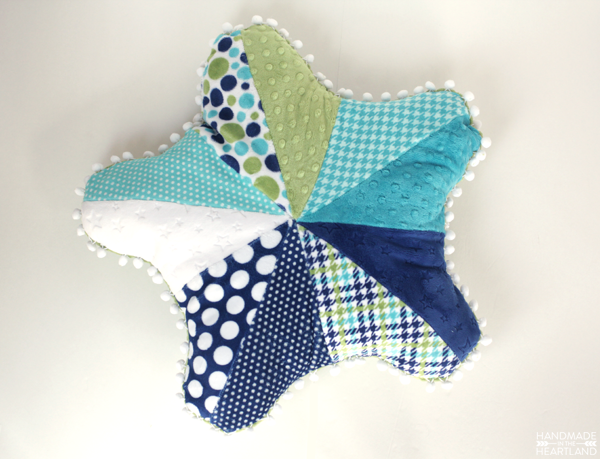 You can buy the cuddle cake from my favorite online fabric retailer- Missouri Star Quilt Co. HERE. To stuff this guy I used my favorite Fairfield World Poly-fil, I am a master maker for Fairfield world and every month I do a project on the blog using one of their many products. It’s a pretty sweet gig considering they make awesome stuff! 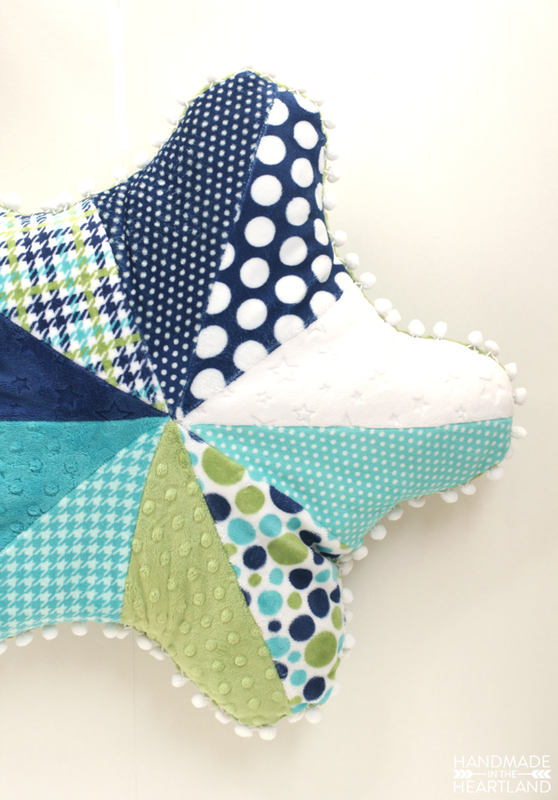 Step 1: Download & print your pattern, cut it out and then cut out your fabric. 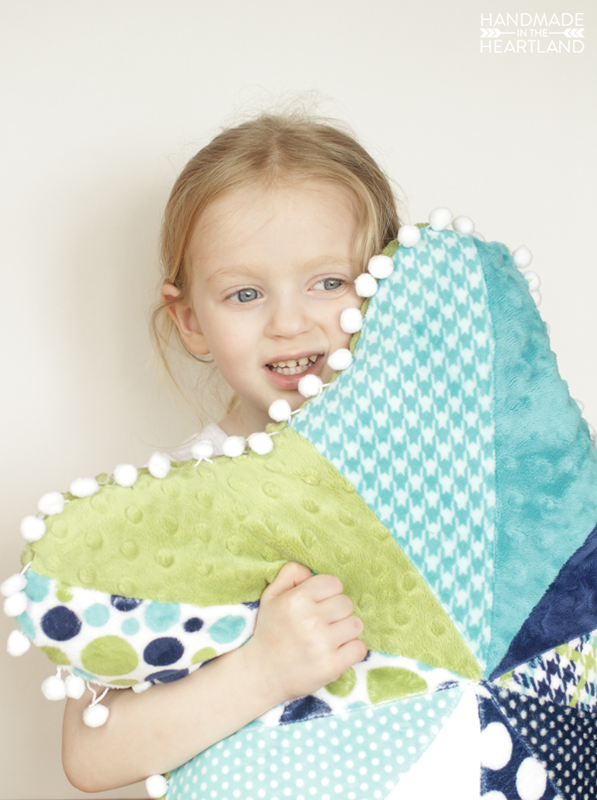 In a cuddle cake you will have 2 10″ squares for each print (10 prints) and you will use it all if you choose to do the back and front the same. 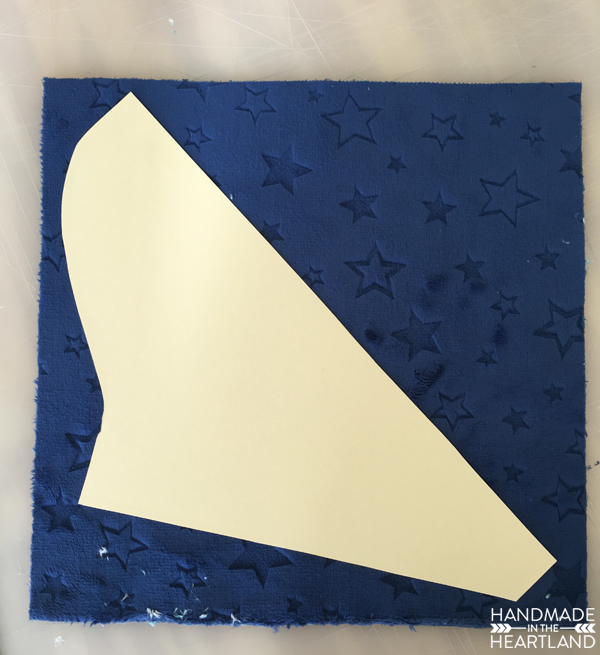 You can lay your pattern piece diagonal like I did in the photo below to cut out your pieces. I like to cut cuddle using a sharp rotary cutter. You’ll need 5 left and 5 right for each side, so in total 10 left and 10 right. Step 2: Lay out all your different pieces and match up the prints you want to go together. 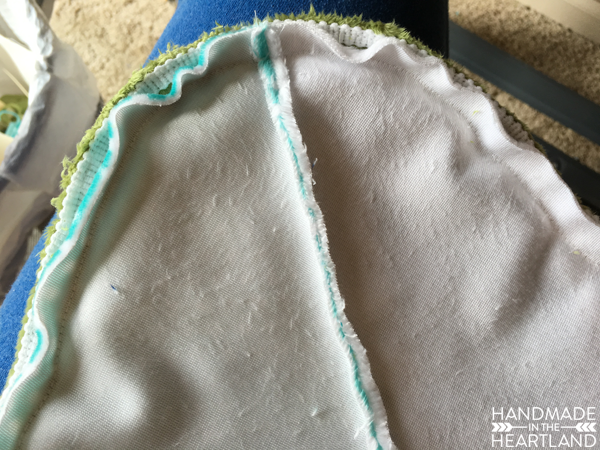 Pin them together and sew at 1/4″ seam allowance. 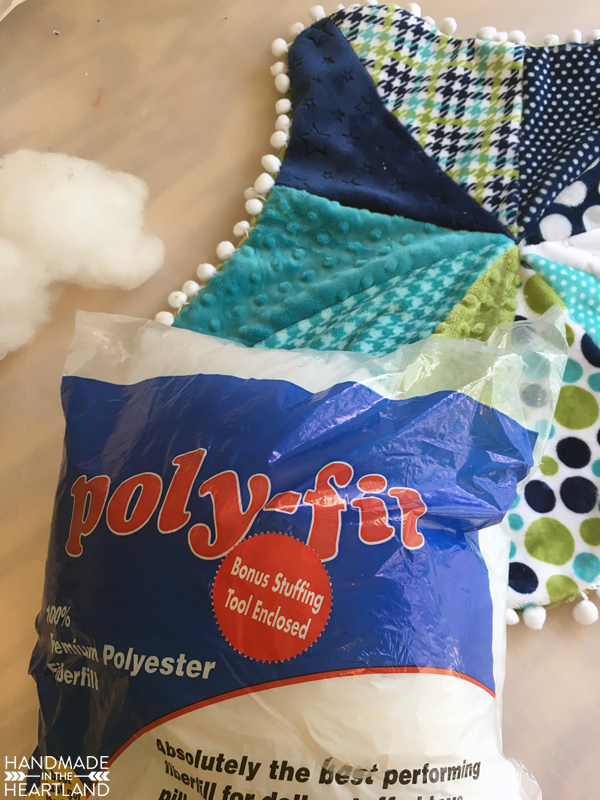 Even if you are a confident sewer its very important to pin cuddle fabric together using a good amount of pins to ensure it doesn’t slide while sewing. 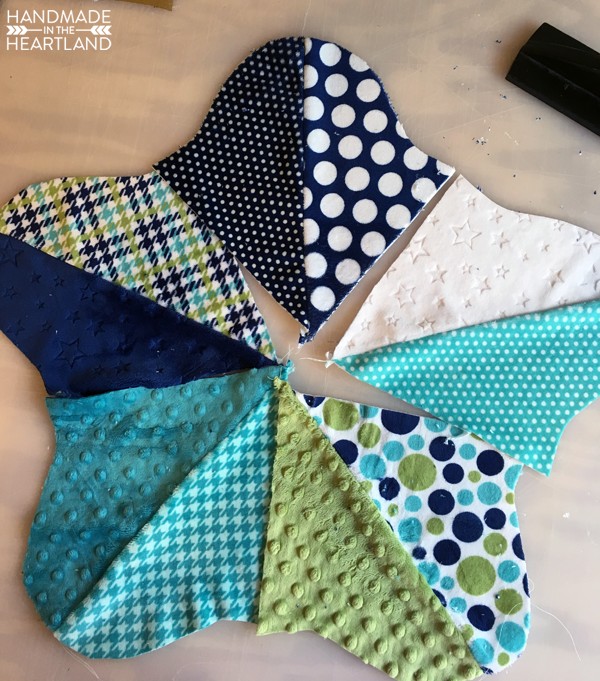 After sewing all your halves together lay them out and decide which legs you want next to each other for the layout of the pillow. Step 3: Repeat the same for your back piece. Below you can see I did the back all in the same color. I also did full legs instead of halves since I wasn’t mixing patterns. Step 5: Pin both pieces together, I’m usually not an overzealous pinner but with cuddle fabric I am as you can see below. 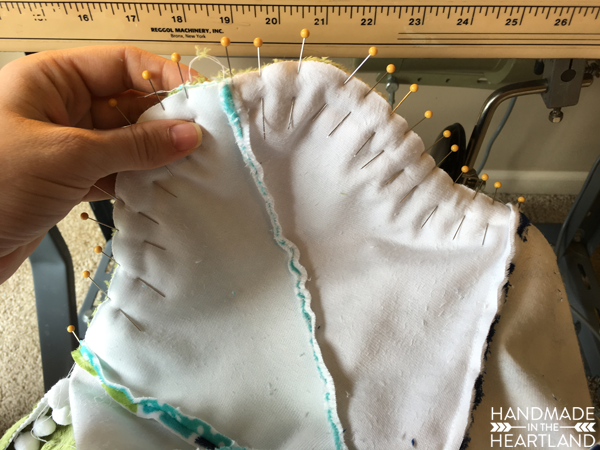 Sew all the way around at 1/2″ seam allowance but leave an opening for turning it right side out and stuffing. 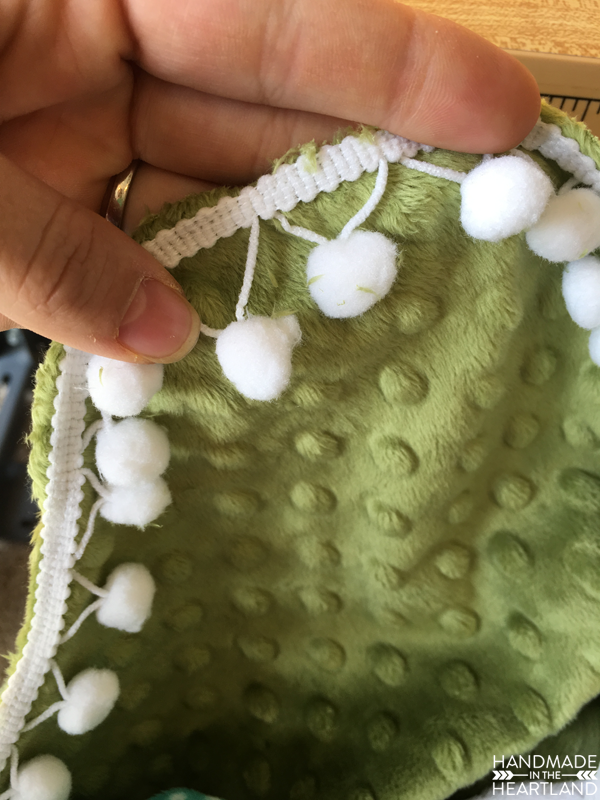 I sew at 1/2″ around the outer edge to make sure I get the entire pom pom trim edge into the seam allowance and not showing anywhere on the pillow.